Im sure you have seen it many times the all to common phrase "We are the #1 detailing company" almost as if it's a standard saying to all the pop up "Detailers" only to see them dissapear months later. 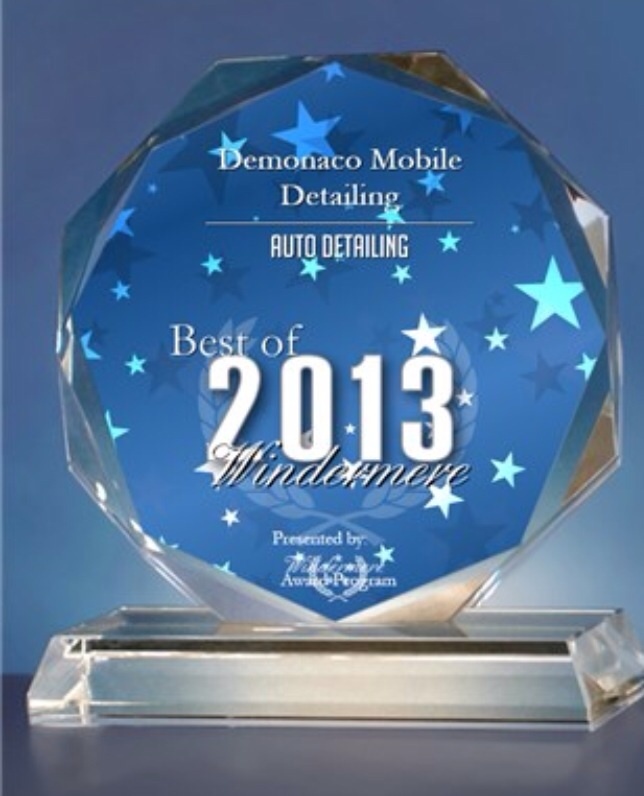 Well here at DeMonaco Mobile Detailing we have been in business locally for 12 years with well over 20 years of experience. We are a Well Established company in the detailing industry and we are in business to serve our clients. Customer satisfaction is our #1 priority and we genuinely care about your vehicle and your experience, and it shows. Our clients continually stay long term time and time again, choosing us for all their auto detailing needs. We are highly skilled and have over 20 years experience. Copyright 2007-2019 DeMonaco Mobile Detailing.